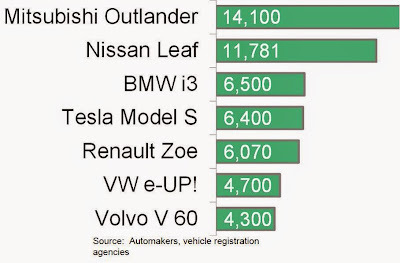 Mitsubishi Australia were kind enough to loan EV News an Outlander PHEV for a week long test drive and we're not surprised it is already the best selling plug-in EV in Europe. The Mitsubishi Outlander PHEV is the first 4x4 SUV to combine 'series' and 'parallel' hybrid systems. It has all the benefits of a plug-in electric car with a part-time duty cycle 87 kw 2.0 L 4 cylinder MIVEC (Mitsubishi Innovative Valve timing Electronic Control system) petrol engine that can run in either series hybrid mode, where it is used to top up the 12 kWh lithium ion battery mounted under the cabin, and/or can also runs in parallel mode to drive the front wheels. The electric powertrain is based on 2x 60 kw / 166 Nm BLDC permanent magnet synchronous motors that run on up to 300 volts. It's a bit like having an iMiEV motor on each axle. Given the 1810 kg curb weight, EV mode acceleration is reasonable, but applying anything more than half throttle activates the ICE to assist. In this parallel mode the PHEV has a combined maximum output of 207 kw available for hard acceleration, which 'feels' like a V6. Mitsubishi engineers have done an excellent job on NVH (noise, vibration and hashness) for the part-time duty cycle ICE (internal combustion engine) in the Outlander PHEV. Unlike the Holden Volt we drove last year where the ICE became fairly annoying after a few hours in the car, the ICE powertrain in the PHEV is so quiet that, without the assistance of the LCD 'energy use' dash display graphic, it's hard to tell whether the ICE is actually running or not! The official ADR fuel economy rating for the PHEV is 1.9L/100km, with a maximum range of 824 kilometers from it's 45 liter fuel tank. I had originally planned to drive the PHEV to Melbourne (1,800 km round trip) to test highway range and the adaptive cruise control system (more on that later) but for business reasons the trip was postponed. Instead, during the 7 days I had the PHEV, I never needed to lift the fuel filler flap even once and returned the vehicle with more than 100 km range still indicated on the dash having covered 700 km of urban driving. The vehicle was plugged in each night so we started each day with a full battery. The 12 kWh battery gives an EV mode range of approx 50 km. The PHEV provides a couple of options for managing your charge via two centre console mounted buttons. The 'CHRG' button allows the driver to manually turn on the ICE to charge the battery while the 'SAVE' button conserves battery charge and engages the ICE to drive the Outlander PHEV like a regular front wheel drive petrol vehicle. We were still experimenting with the save mode when we had to return the vehicle. At highway speeds, aerodynamic load is at it's maximum and brake regeneration on expressways is minimal. Also, a electric cars battery contains a relatively small amount of energy (12 kWh) compared to a regular fuel tank (45 L x 9 kWh/L = 405 kWh). In an effort to make the most efficient use of the available stored electrical energy, we experimented with using 'Save' mode on any steady-state motorway with a posted speed limit of 100 km or more in an effort to save the battery for lower speed urban roads where brake regeneration can be maximised and losses such as aero resistance are minimal. Unfortunately it wasn't a very scientific experiment so I can't provide any energy use figures. Even without using save mode at all the PHEV still achieves minimal fuel burn using it's own internal pre-programmed strategy of running the ICE in parallel mode at highway speeds so perhaps it would take longer than a 700 km test drive to get the most out of these manually operated features. All Mitsubishi Outlander PHEV press cars are the top-of-the-range Aspire model which comes with a feature that seems perfectly suited to an electric powertrain, adaptive cruise control. As an EV powertrain can brake and accelerate with a single input from the throttle pedal, this allows seamless control of a vehicles variable speed relative to other traffic. Adaptive Cruise Control was my favorite feature on the car and was turned on at every opportunity. In traffic it takes over everything but the steering. In built-up heavy traffic with speeds as low as 1 km/h the system will slow and accelerate in response to the traffic ahead without any driver input. In stop-start traffic the system can bring the vehicle to a complete stop, only signalling to the driver to push the brake pedal once the vehicle is stationary. The vehicle will not move away from a dead stop, but cruise can be resumed once over 10 km/h. It was not uncommon to have the cruise control set to 80 km/h while only seeing 50 km/h on the speedo as the car responded to traffic. The driver can adjust the distance to the car ahead in three steps with a a steering wheel adjustable push-button. In addition this distance automatically adjusts according to speed, with the gap to the car ahead increasing at higher speeds. The system also handles lane changing fairly well. When the driver changes lanes to go around a slower vehicle the system will respond to the clear lane ahead and accelerate to the set speed. The driver can also momentarily over-ride the system with throttle input to accelerate into a gap while lane changing and the cruise control will resume at the set speed once you lift off the throttle pedal. One thing we were curious about was what the brake lights were doing in adaptive cruise mode. Apparently the low-speed auto brake system on the Ford Focus strobes the brake lights when active, but we were unable to confirm what was happening on the back of the PHEV in this mode? As with most hybrids which mix regenerative and friction braking, the PHEV runs a brake-by-wire system with a servo operated hydraulic brake master cylinder. This enables the cruise control to apply friction brakes at very low speed to bring the vehicle to a complete stop. With Adaptive cruise control, driving in heavy urban traffic almost becomes relaxing! I honestly think the combination of regenerative braking and cruise control is the single best feature of the car and given the fact ABS and stability control are now mandatory on new cars, it seems only a matter of time before adaptive cruise control and autonomous braking also become mandatory features. 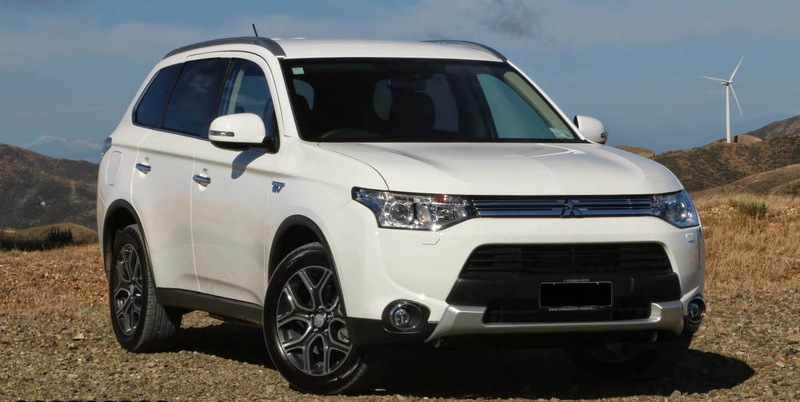 Speaking of stability control, the Outlander PHEV comes with Mitsubishi's Active Yaw Control (AYC) and Super All Wheel Drive Control (S-AWC). These systems were first developed for the rally homologation special Mitsubishi Lancer Evo. Given the SUV's high centre of gravity this is probably a very handy feature to have although there was no way I intended to push this vehicle to the limit to test it out. Perhaps the PHEV powertrain will soon be seen in something closer to the ground like the XR-PHEV EVO images recently released, then AYC and S-AWC could be actively engaged on winding country roads for purely entertainment value without the risk of tipping the vehicle over. 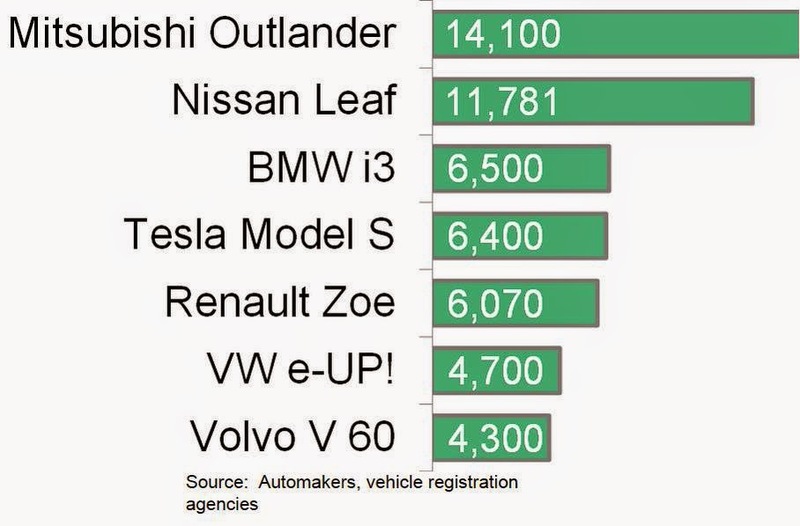 With a list price of $47,490 for the standard Outlander PHEV and $52,490 for the Aspire, it's little surprise the PHEV has shot to #1 plug-in on debut with 99% of all Outlanders sold being PHEV in several markets around the world.